Dribble down the court, take it to the hole. 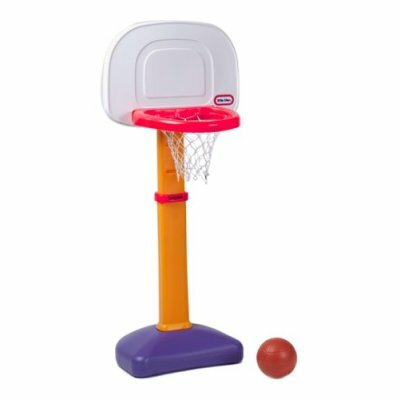 This basketball set from Little Tikes grows as fast as toddlers by adjusting to six heights from two-and-one-half feet to four feet. 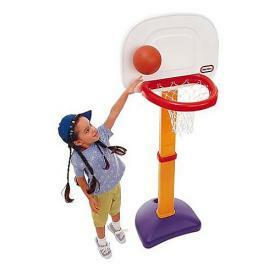 Made of sturdy plastic, this is a basketball set that is meant to last. Children love the bright colors. The base can be weighted with sand (not included) for stability. 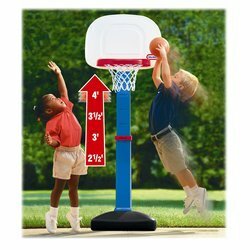 Includes a mini basketball that's easy for small hands to grasp.